Organic chocolate with 70 % cocoa solids. We source the finest cocoa that is prized for its wonderful complexity and great depth of cocoa flavour. Discover notes of sour cherry and raisin balanced with savoury flavours. 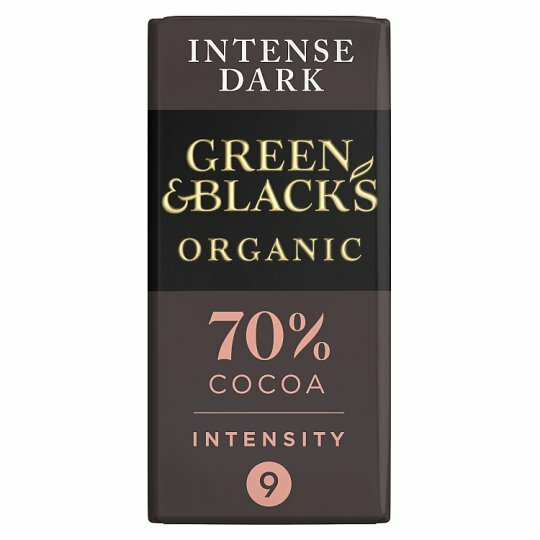 Green & Black's is a chocolate brand founded on sustainable and ethical cocoa sourcing principles, based on our conviction that great taste comes from the finest ingredients.